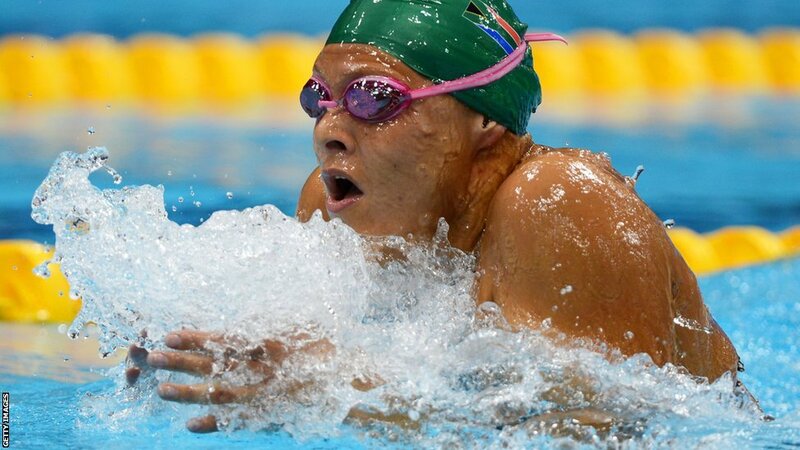 Natalie du Toit has a little over a minute remaining of her Swimming career after qualifying for tonight's women's 100m Freestyle - S9 final. Natalie du Toit has a little over a minute remaining of her Swimming career after qualifying for tonight'swomen's 100m Freestyle - S9 final. Du Toit has been a pioneer in her sport but will bring down the curtain on a career which has seen her win 13 Paralympic titles over three Games. Du Toit has been the most high-profile face ofParalympic Swimming for 10 years. She also competed in the open water at the Beijing 2008 Olympics as well as reaching the 800m Freestyle final at the 2002 Commonwealth Games. Tonight she will bow out in what is bound to be an emotional moment at the Aquatics Centre, having qualified fastest in 1:02.95 as she seeks her third successive title in the event. Du Toit said: 'I'm excited because it's been a long week, a long 10 days. I'm a bit sad too, but the next couple of months I'll be busy with sponsors and those people that have really helped me along the way. 'They are really the ones who have kept me going, otherwise I think I would have gone out of the sport long ago. Matthew Cowdrey will be making his final appearance of the Games tonight when he competes in the men's 100m Freestyle - S9. The Australian already has 20 medals over three Paralympic Games but he intends to carry on. He said: 'There are so many options for me both outside and inside the sport, so whatever I decide I'm sure I will be happy. I am definitely leaning towards Glasgow (2014 Commonwealth Games) and Rio (2016 Paralympic Games), we'll see after that.